Moyra Davey works as a photographer, film-maker and writer to explore aspects of daily life and literature that lead her to reflect upon the passing of time and its effects. Mary, Marie (2011) is a mail art piece that makes up part of a research project based on the figure of Mary Wollstonecraft, the writer, advocate of women’s rights in the 18th century and mother of the author Mary Shelley. The images that compose the work are words taken from the book Letters Written During a Short Residence in Sweden, Norway, and Denmark, published in 1796, which contains a series of letters Mary Wollstonecraft wrote to her beloved Gilbert Imlay, with descriptions of what she encountered on that trip around Scandinavia and an undercurrent of sadness over their imminent break-up. 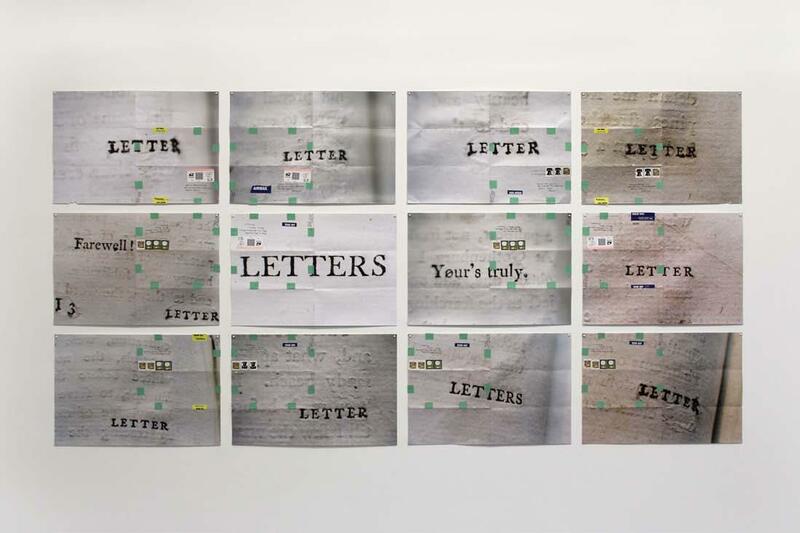 Moyra Davey gained access to this correspondence owing to the fact it was left to the Pforzheimer Collection in the New York Public Library. Davey’s customary artistic practice involves folding the photographs and mailing them to a known addressee in order to ensure their subsequent recovery (in this instance the writer and curator Marie Muracciole at her Paris address). For Davey, the folds, adhesive tape and stamps are the accidental remnants of the journey through space and time that are imprinted on the work. The artist is also interested in the inter-connections established between the subjects of her research and personal circumstances to produce narratives on identity, history and language. Speaker receiver : [Kunsthalle Basel, June 17-Aug. 29, 2010] / Moyra Davey ; [ed. by Adam Szymczyk]. Lehorra eta hezea / Moyra Davey ; [diseinua, Will Holder]. Davey, Moyra.Vitoria-Gasteiz : Centro Cultural Montehermoso, 2011. Long life cool white : photographs & essays / by Moyra Davey ; with an introduction by Helen Molesworth.